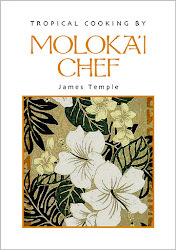 Tasting Hawai'i With Moloka'i Chef James Temple: "GRAVY" is my middle name! Gravy is a wonderful word. It's like a warm blanket on a cold night, comfort food at its best. What would turkey be without gravy? Sort of like a desert without an oasis. Gravy is usually considered a type of sauce. It’s often made from meat juices combined with broth or milk and thickened with a starch. There are so many kinds of gravies for so many types of dishes, but they all have one thing in common, everybody wants more. I've often thought that "Gravy" should be my middle name because I love it so much. Would you go into a restaurant named Gravy? Yes, absolutely yes! 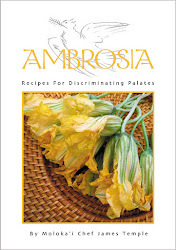 So hop on to my gravy train as I dance you through a few of my favorite gravy recipes. This recipe is suitable for any sort of roast, whether meat, poultry, or game. You should ideally use the appropriate stock for enhancing the gravy—and by that I mean lamb stock for roast lamb, homemade chicken stock for roast chicken, and so on. After roasting the meat, transfer it to a warmed platter or plate and set aside to rest. Skim the excess fat from the surface of the liquid that collected in the roasting pan, leaving about 2 tablespoons juices mingled with a little fat. Place the roasting pan over 1 or 2 burners on medium heat. Using a wooden spoon, scrape up the caramelized pan juices, then sprinkle the flour over the top, stirring constantly to blend it well with the fat and juices. Cook, still stirring constantly, for 2 minutes, or until the flour becomes a light golden color. Still stirring, slowly add the warm stock to the roasting pan. Bring to a boil and cook—say it with us, still stirring constantly—until the sauce thickens and the mixture is reduced by about a third and has a gravylike consistency. Season the gravy with salt and pepper to taste. If desired, strain through a fine-mesh strainer. Serve immediately. Simply add a small handful of your favorite herbs, such as rosemary, thyme, or sage, to the gravy as it reduces. Whisk in 1 tablespoon Dijon mustard before straining. Substitute 1/3 cup red wine, port, or white wine for 1/3 cup stock and add gradually, as you did with the stock. Add a 12-ounce bottle dark beer to the gravy in place of 1 1/2 cups stock. Wonderful with roast beef or pork. This is classic Hawaiian comfort food. The gravy is what makes this dish slide down so onolicious! After you have seasoned the ground beef with salt, pepper and onion powder, form them into four patties. Add canola oil to a large frying pan, cook beef patties until they are cooked to your liking, then remove and keep warm. For the gravy, combine the butter and oil in a fry pan over medium heat. Add the chopped onion and saute until slightly browned. Add the flour and stir until pale brown, then gradually add the beef stock. Stir until the gravy thickens and turns brown in about three minutes. add garlic, ketchup, mustard, and Worcestershire sauce. Taste and season with a dash of soy sauce and Tabasco sauce and salt and pepper if needed. Set gravy aside. Fry eggs (sunny-side up or over easy) in butter. Divide hot rice mixture onto four plates or bowls, top with hamburger patties and hot gravy, top that off with the fried eggs. Serve with side dishes of your choice; mac salad, fried saimin, or perhaps just a big slice of orange. 'Opakapaka is also known as the Hawaiian pink snapper, a white fish with a delicate flavor. This fish is great grilled, then combined with a delicious butter sauce. Naturally you can use other fish for this recipe, like red snapper. 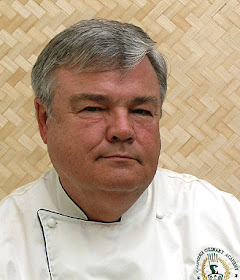 First make the Hawaiian Butter Sauce (recipe below). Then marinate ‘Opakapaka in 1/2 cup of the sauce for 10-15 minutes. Remove from marinade and grill very quickly, about 3 to 4 minutes on both sides. Brush fish with marinade as it cooks. Serve on plates garnished with cilantro and lime wedges on the side. Serve with white rice, topped with Shitaki mushrooms, that have been sautéd in Hawaiian butter sauce. Makes 4 servings. In a medium saucepan, heat the canola oil over low heat. Sauté the onions, garlic and shallots until softened, approximately 20 minutes. Remove from the heat and set aside to cool. Using a whisk, whip the softened butter until fluffy, then slowly add the Sriracha and Thai fish sauce. When the fish sauce and Sriracha have been incorporated into the butter, add the cooled onions, shallots, and garlic, and then add the parsley, whisk to blend. Makes about 1 3/4 cups of sauce. Note: This sauce is also delicious used as a dipping sauce for grilled lobster or shrimp. This is a wonderful Southern breakfast dish using white stone ground grits, my Southern roots are showing again. The key to this dish is the grits, the white corn should be coarsely ground, ideally by a stone grinding wheel. It actually makes a huge difference in flavor. Good grits come out smooth, delicate and flecked with bits of the corn hulls that makes for a radically different experience compared to its Italian cousin polenta. If you are serious about food, then here's where to get your white stone ground grits, Weisenberger Mill, in southern Scott County, Kentucky. Click here, then click on "grits" at the top of the page, you want "white" grits. I've used this father/son mill for years. 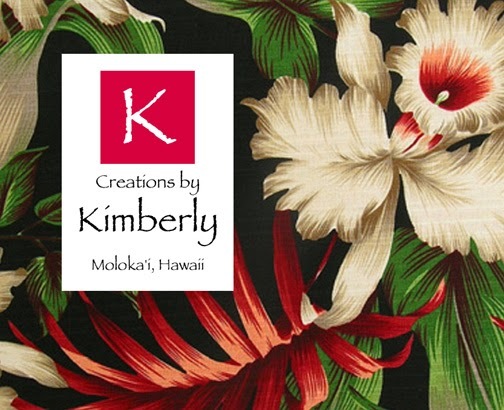 They usually ship UPS, but they will ship to Hawaii via Priority Mail if you ask, much cheaper that way. Their pancake mix is the best I've ever had, while you're ordering, get a bag of that also. Sometimes they will send you little sample bags with your order, love that! Combine the water and salt in a heavy saucepan and bring to a boil. Gradually add the grits, stirring, reduce the heat to low, cover, and cook till the liquid has been absorbed, 15 to 25 minutes, stirring occasionally. Remove the pan from the heat; add the cheese and butter, and stir till melted. Keep warm. Meanwhile, peel and devein the shrimp, combine the shells and water in a saucepan, and reserve the shrimp. Bring the water to a boil, reduce the heat slightly, cook till the liquid is reduced by half, and strain the stock into a bowl. In a large skillet, melt the butter over moderate heat, add the onion, bell pepper, and garlic and cook, stirring, till softened, about 3 minutes. Add the tomatoes and thyme and cook about 3 minutes longer. Sprinkle the flour over the top and stir well. Add the reserved shrimp and cook, stirring, till they turn pink, about 2 minutes. Add 1/2 cup of the stock, cook 3 minutes longer, add the tomato paste, and stir well. Add the cream, Worcestershire, salt and pepper, Tabasco, and, if necessary, a little more stock to make a gravy that easily coats the shrimp. Heat well. To serve, spoon a mound of grits in the center of each serving plate, spoon shrimp around the grits, and sprinkle parsley over the top. Makes 4 servings. I love pork tenderloin, always tender, fat free, and inexpensive. Cook it with a wonderful gravy and you have a winner. Cut tenderloin into 1/2 inch thick, bite-sized pieces. Heat oil in a non-stick frying pan over medium-high heat. Add pork tenderloin. Brown for about 5 minutes. Reduce heat to medium and add garlic, cayenne pepper and leek. Cook, stirring for 3 to 4 minutes or until leeks are soft. Add flour and cook for 1 minute. Increase heat to high and add mushrooms. Cook, stirring for 3 minutes. Add cream gradually, stirring. Simmer for 4 minutes or until gravy is thickened. Stir in parsley. Season with salt and pepper. Serve with brown rice and green peas. Makes 4 servings. I make this recipe almost every other week. My wife loves pot roast, and this one is easy with lots of gravy. One of the great things about pot roast is that beef chuck gets very tender after slowly cooking for 3 hour, you can add whatever you have on hand to the pot, mushrooms, green beans, canned tomatoes, red wine, Worcestershire sauce, etc. Make it your own. Combine the first three ingredients. Rub down the chuck steak with the mixture of salt, pepper & brown sugar and let sit for a half hour on the counter. Simmer 5 cups of water in a sauce pan with soy sauce and one cube of beef bouillon. Heat a dutch oven on top of the stove to medium heat. Add about 3 tablespoons canola oil until it is hot, then brown the rubbed down chuck roast on both sides without burning it. Remove the roast and add the onion, celery and garlic. Reduce the heat slightly so the vegetables cook together for about 5 minutes, without letting them burn. Stir in the half cup of flour to the vegetables, and let the flour brown slightly while not letting it burn. Now add the hot water, soy sauce and bouillon into the pot and stir. Add the roast back into the dutch oven, with the mixture. Put the lid on the dutch oven, and put the whole thing in the preheated 300˚F oven for 2 hours, then add the carrots and potatoes, pushing them down into the gravy. Return the dutch oven to the oven and cook for 1 more hour, or until the meat is fork tender. Season with salt and pepper to taste. Serve roast, potatoes and gravy with a crisp salad, and some crusty bread, biscuits, or anything you would like to dip in this wonderful beef gravy! Makes 4 servings. 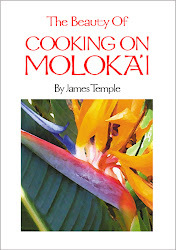 The Moloka'i Dispatch published this recipe last year and I have gotten a lot of good comments about it here on Moloka'i. Give it a try! Defrost pork, if frozen, completely a couple of days in the refrigerator, then let it sit covered on your kitchen counter to room temperature for 30 minutes. Preheat oven to 450˚F. In the center of a roasting pan add your rough cut vegetables. Rinse the rack of pork well and pat dry. Rub the olive oil into the meat, then sprinkle entire rack with the sea salt, pepper and chopped rosemary. Place rack, fat side up, on top of cut vegetables. Place pan in preheated oven at 450˚F for 15 minutes. After 15 minutes reduce heat to 325˚F and continue to roast for approximately 1 1/2 hours or until internal temperature has reached 150˚F with an instant-read thermometer inserted in the center of the roast. Note: The general rule is to roast your pork roast for 20 minutes per pound, or until the internal temperature reaches 150˚F. Remove the pork from the oven placing it on a cutting board and allow it to rest, covered with foil, for 20 minutes before slicing it. This will allow all the juices to remain in the pork, rather than have them run all over the cutting board, making the meat dry. While the pork is resting, remove the roasted vegetables from the roasting pan and discard, or give the carrots to your dog as I do, he loves them. Now remove all but 2 tablespoons of oil that remains in the pan. Set the pan across 2 burners turned to medium high. Sprinkle the pan with the flour and brown the flour, stirring it in the remaining oil, to a light brown color. Now add the wine and chicken stock to the roasting pan. With a wooden spoon stir the mixture for about 10 minutes, or until it thickens, making your pan gravy. Finally stir in the mustard. Taste the gravy and season with salt and pepper if needed. Cut the rack along the bones, making even portions of the pork, serve with mashed potatoes, with pan gravy and fresh green beans, or whatever vegetable you like. Makes 5 servings. Sirloin tip, unlike top sirloin, is an economical cut of beef because it is very lean, and somewhat dry and chewy. This recipe slowly braises the beef in a low oven until it is tender and full of flavor, with lots of good mushroom gravy. In a small bowl, combine oil, garlic, salt, pepper, paprika, rosemary, onion, and thyme. Rub the roast all over with this mixture and let rest, covered with plastic wrap, in the refrigerator for 2 hours or up to 24 hours. One hour before cooking the beef, remove from refrigerator to allow it to come to room temperature. Heat oven to 325˚F. Heat a cast iron or oven proof skillet on high. After about a minute, place roast in the hot skillet and brown meat for about 2 minutes per side. Pour heated beef stock and sliced mushrooms around roast, and cover tightly with foil. Bake for about 3 hours or until meat is fork tender. I think this was the first thing I learned how to cook. My parents went out of town and left my sister, brother and I with a baby sitter named Mrs. Tiller. She was a great Southern cook and knew that I was interested in what she was making, biscuits with milk sausage gravy. Crumble sausage in large skillet over medium-high heat 5-6 minutes or until browned, stirring frequently. Stir in flour. Gradually add milk; cook until mixture comes to a boil and thickens, stirring constantly. Reduce heat to medium-low; simmer 2 minutes, stirring constantly. Season to taste with salt and pepper. Serve sausage mixture over warm baking powder biscuits, (recipe below). Makes 8 servings. Preheat oven to 450°F. Sift dry ingredients into a bowl. Cut in the shortening with a pastry blender, and add the milk, blending quickly, just until dry ingredients are moistened. A sticky dough will result. Turn the dough out on a floured board. Flour your hands and knead the dough 3 or 4 times. Important: Do not overhandle dough. Roll or pat to a 1/2-inch thickness. Cut with a 2-inch biscuit cutter. For soft-sided biscuits, place close together on a lightly greased baking sheet or in a lightly greased cast iron skillet (vegetable cooking spray works just fine). For biscuits that are crusty all around, place about an inch apart on a lightly greased baking sheet. Bake at 450°F for 12 to 15 minutes. Serve with pork sausage, fried eggs, and lots of gravy. Makes a dozen biscuits. Crispy oven fried chicken with gravy. Great no matter where you live. Place the chicken in salted water for 15-20 minutes. Preheat oven to 425°F. Place vegetable oil and butter in shallow baking pan and set in oven to heat and melt. Combine flour and seasonings in a plastic bag. Shake pieces of chicken in flour mixture. Remove hot pan from oven and arrange chicken pieces on it, skin side down being sure not to crowd. Place pan in oven and bake 30 minutes. Turn chicken so that the skin side is up and continue to bake 20 to 30 minutes more until nicely browned and juices run clear. Remove to a platter and keep warm allowing to rest for at least 10 minutes. For gravy, scrape baking pan and place 3 tablespoons of the accumulated cooking fat and browned bits into a saucepan. Stir in 3 tablespoons of flour and cook 1-2 minutes until well combined. Stir in 2 cups chicken broth and continue cooking and whisking until gravy boils and thickens. Cook for about 2 minutes. Season with salt and pepper if necessary. 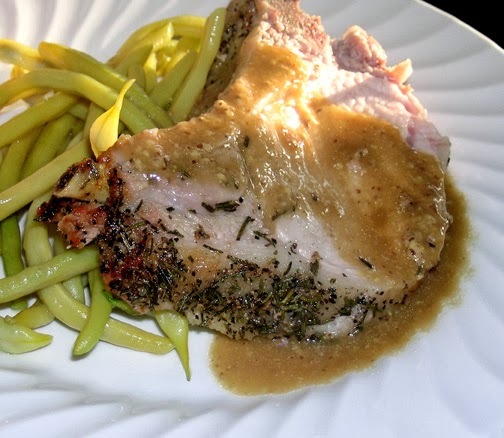 Serve with mashed potatoes and green beans. Makes 2-4 servings.